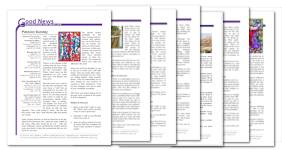 Bulletin Inserts for the five Sundays of Lent, Palm Sunday, plus Easter. Add as a pull-out in your weekly bulletin or send to your printshop as a PDF to make it a full-page faith-builder. Each bulletin insert includes reflection questions for families, faith sharing groups, and RCIA class. You’ll get a whole-parish license for unlimited printing. They are life-changing, easy-to-read reflections on the readings from Mass. Use them as an evangelization tool. They will inspire greater involvement in the faith life and parish activities. Each bulletin insert includes a side-bar of all scriptures for the entire week. To order these as text-only articles for copy-pasting into your bulletin, in English or Spanish. Ash Wednesday, Holy Thursday, and Good Friday are also available, sold separately. 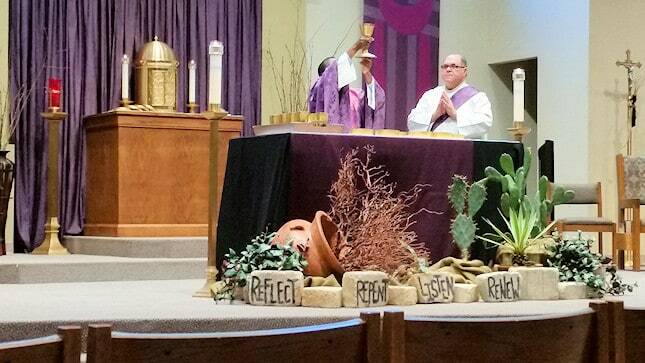 See All Lenten Resources.